I used to be one of those women who carried everything in their handbag, especially when it came to beauty stuff. 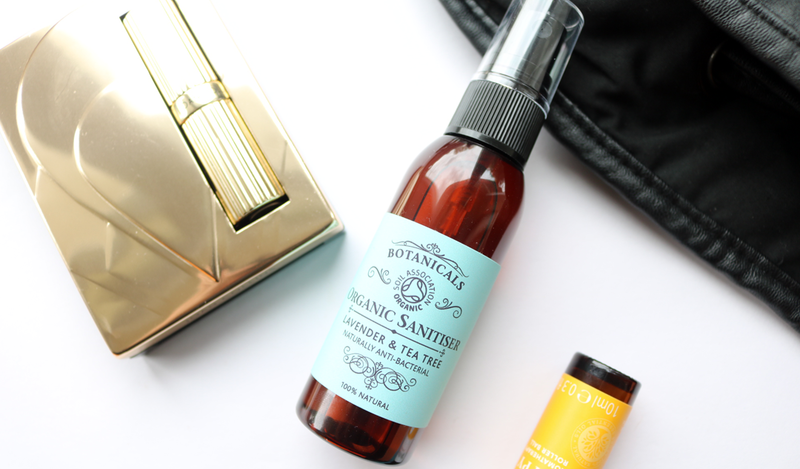 In fact, some of my most popular blog posts from a few years ago were 'What's In My Bag' features, and I love seeing the contents of other bloggers handbags (I don't know why, but I know I'm definitely not alone!). 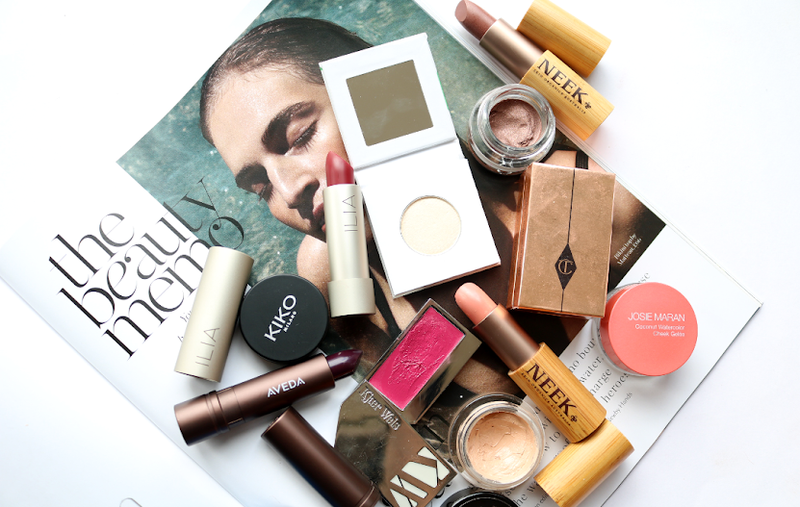 These days though, I'm much more of a minimalist and I've really scaled back on the number of beauty products that I keep in my handbag, carrying only what I'd consider being the 'bare essentials'. Why? Well, I've realised that a lot of the beauty stuff that I used to haul around in my bag simply wasn't getting used and that I honestly didn't need to have 12 different lip products rolling around at the bottom of it all amongst the receipts and pen lids. Hand sanitiser is a big essential for most people, and I'm really happy that I've found a natural one that I like, as I'm not much of a fan of the artificially perfumed ones. The Botanicals Organic Sanitiser* (50ml, £5.95, link) is 100% natural and contains essential oils of Lavender and Tea Tree to provide anti-bacterial protection without the need for petrochemicals. The alcohol in this formula is derived from Sugar Beet as well, and I don't find that it dries out my hands like some mainstream brands do. To use it, I just spray it all over my hands and rub them together - it dries quickly and smells so lovely and fresh! You can also use this to refresh your feet, and it's available in a larger size bottle if you're carrying it around for the whole family to use on the go. As many of my regular readers will know, I'm very much into aromatherapy and mindfulness, so I like to carry a handy aromatherapy rollerball in my bag to help me feel calm when I'm feeling anxious or stressed, or to keep me feeling energised during a long day. 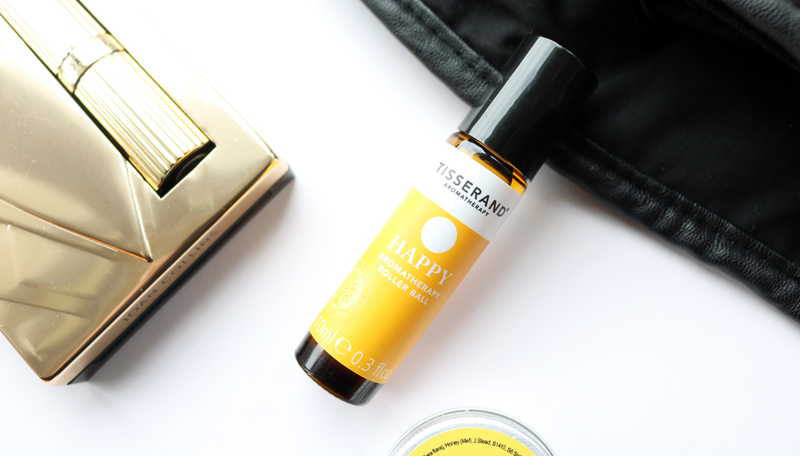 Tisserand Aromatherapy Rollerball in Happy* (10ml, £5.95, link) mainly does the latter, but I do feel it helps to relax me as well which is a nice added bonus! It features a blend of Lemon Tea Tree, Bergamot and Nutmeg essential oils to balance, uplift and comfort, and it works very well for me. When I was decluttering my handbag, I was shocked to find that I had six lip balms in there. SIX! 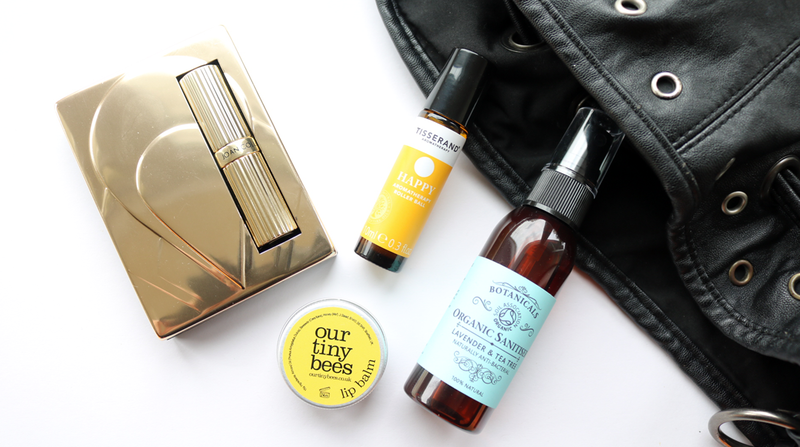 Nobody needs six lip balms in their bag! Even more annoying was the fact that most of these lip balms had expired, bar this one which I remember buying last year. I binned all of the others and now I can get to work using this one up as it's already half done. I'm not sure if I've mentioned this Our Tiny Bees Lip Balm (13g, £4.95, link) before, but it's basically just a really great simple lip balm that's made up of three ingredients; Honey, Beeswax and Almond Oil - that's it. I've actually gone through a tin of it in the past which goes to show how much I love it! Makeup is something that I've had to be very ruthless with as I used to have a lot of makeup products in my bag. 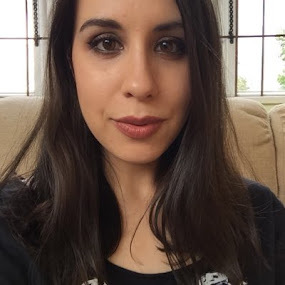 I used to pack at least three lipsticks, a foundation, a concealer or two, a powder, a mascara, an eyeliner, a couple of lip liners and glosses, and I even had a set of false eyelashes in there (you know, 'just in case'!). 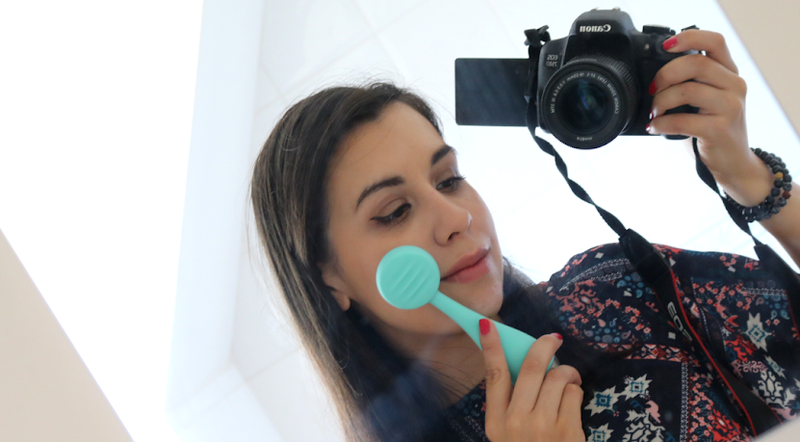 Evidently, I soon realised that I was hardly using any of this as I very rarely touched up my makeup during the day. When I did, I pretty much only ever used a lipstick and a powder blush or bronzer as this often started to fade first as the day went on. So I cleared out everything, and now I'm sticking with a simple 2-in-1 makeup compact. I have a few of these from various brands, but I'm currently enjoying using this one from Joan Collins which is her Summer Kiss Compact Duo* (£30, link). 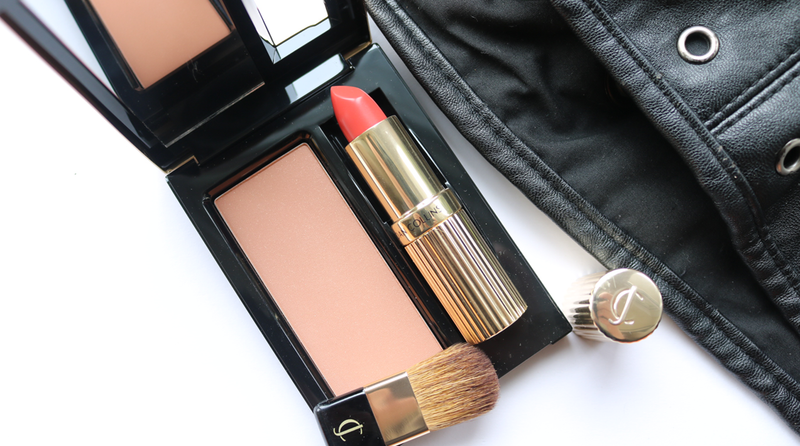 The gold packaging is beautiful with a sturdy magnetic closure, and inside the compact is a flattering, neutral toned bronzing powder with SPF 15, a mirror, a mini brush, and a full-size lipstick. I have the lipstick in the shade Suzy Starr which is a gorgeous coral pink that's perfect for Spring & Summer, and that's it - all the makeup that I need in my bag!